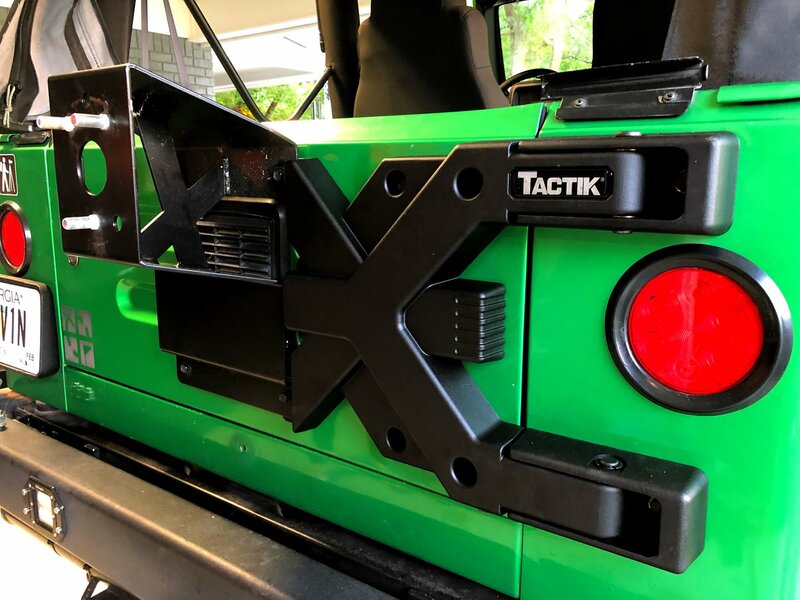 The Tailgate Hinge Reinforcement kit evenly distributes the excessive weight of an oversized spare tire to both hinge points and installs using the factory tailgate hinge mounting points. 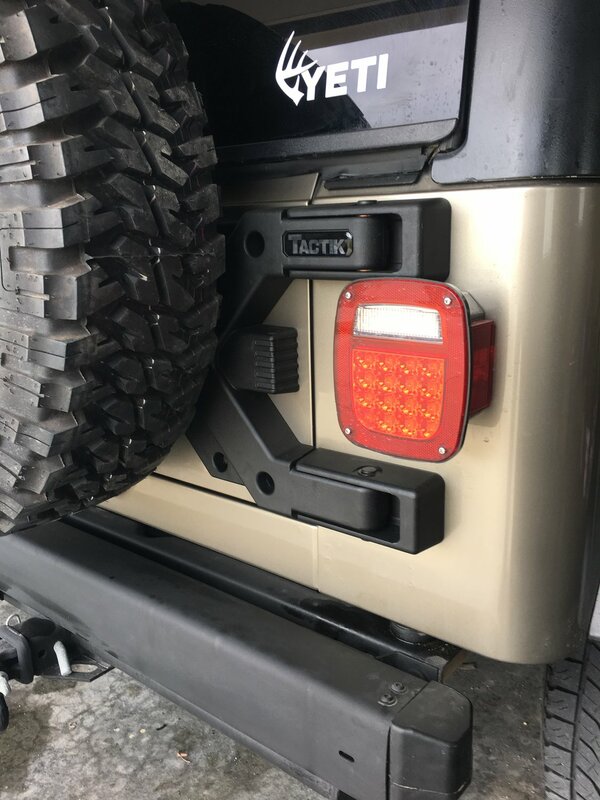 The Hinge Reinforcement features 5/8 case hardened steel hinge pins with bronze bushings that connect the solid cast aluminum tailgate reinforcement brace to the 3/8” thick forged steel hinge brackets and bolts directly to the body mounting points with no drilling or modifications. 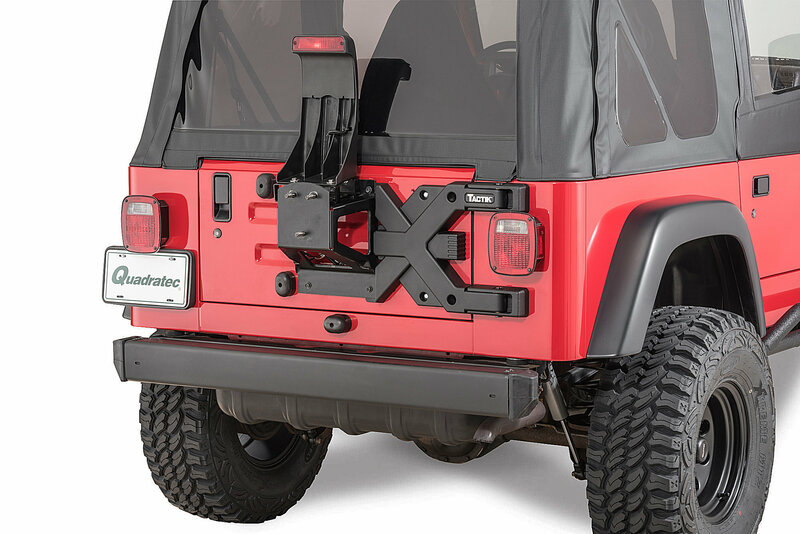 Eliminates tailgate stress and rattles while providing superior strength over the factory strap hinges. 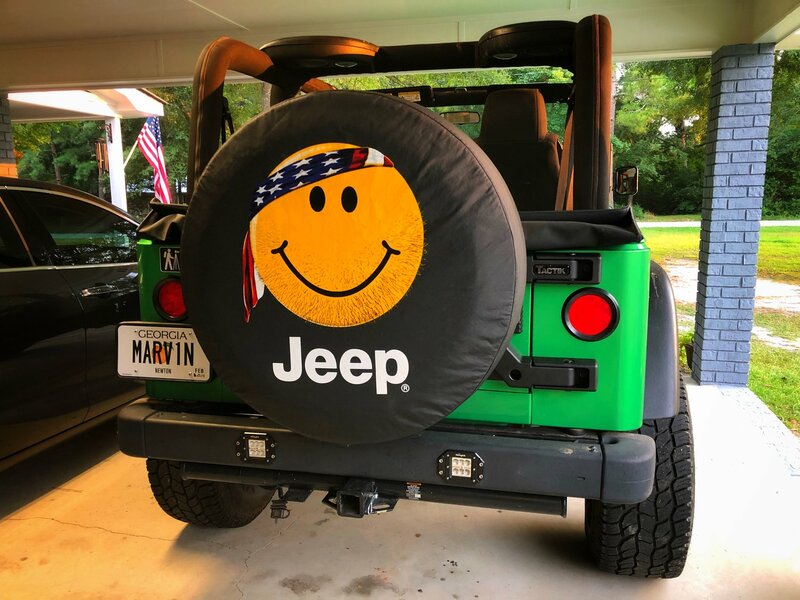 I have a 2005 TJ and I've been searching for a way to carry my 33x12.5R15 spare. I had to remove my spare from my tailgate because I started getting that annoying (and damaging) rattle. First, I tried extending my spare bump stops with hockey pucks and that worked for a while but the rattle came back. 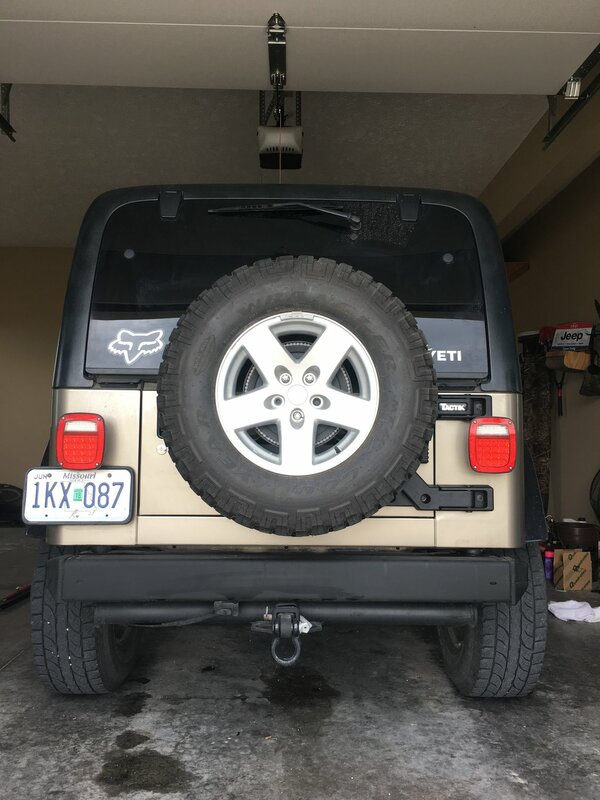 For a fear of damaging my tailgate, I removed my spare and stored it in the shop. After having a flat, 30 miles from home, I decided that it was time to do something...I began looking at bumpers with swing-away tire carriers but didn't want the added weight (we tow a pop up camper). One day, while continuing my search, I stumbled across this piece of ART!!! THIS is what I had been looking for!!! When the package arrived, I was surprised with the quality of materials and craftsmanship that went into it! This thing appears to be rock-solid!! It only took 30 minutes and it was installed! This kit is incredible! 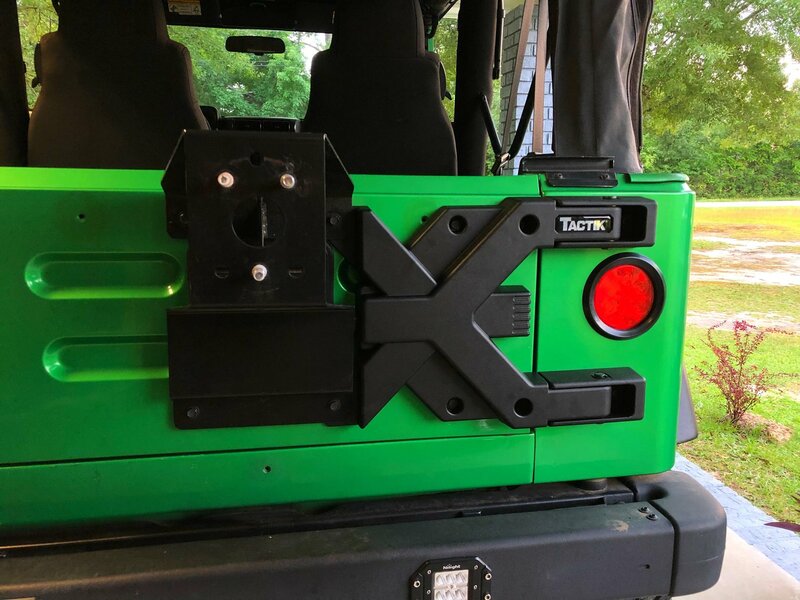 The tailgate operates more smoothly (no more vertical movement when opening/closing), the entire tailgate (hinges and all) are basically one solid piece! 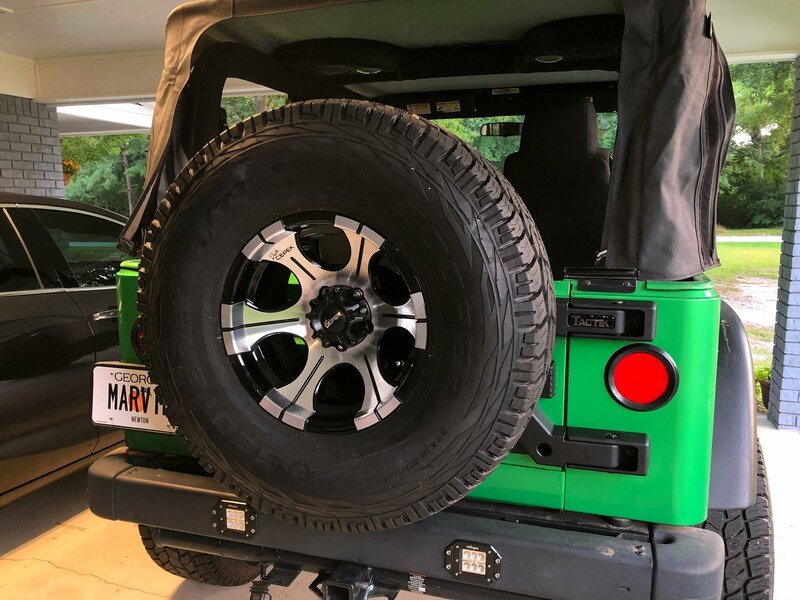 This kit merges with the tire carrier (I have an aftermarket oversized tire carrier) by overlapping on one side and you basically have a steel support system that extends from the left side of your tire carrier to the corner of the tub! 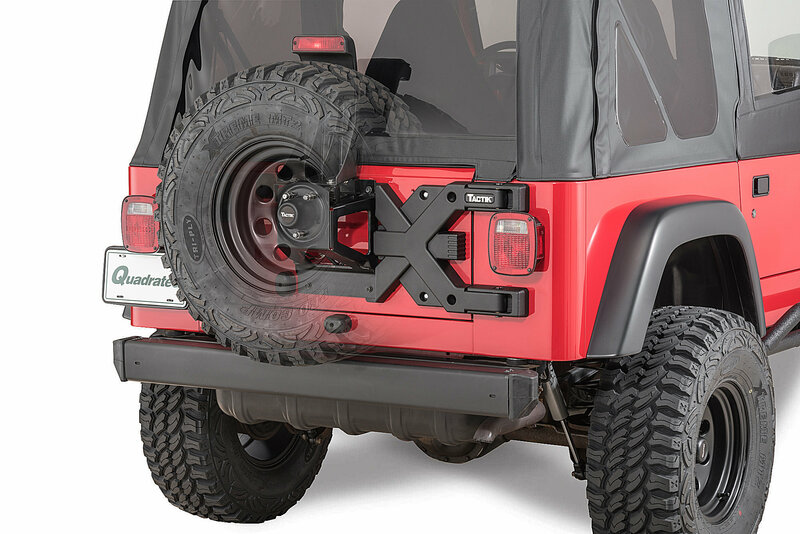 If you're looking for a rock-solid alternative to a bumper/tire carrier combo, THIS IS IT!!! 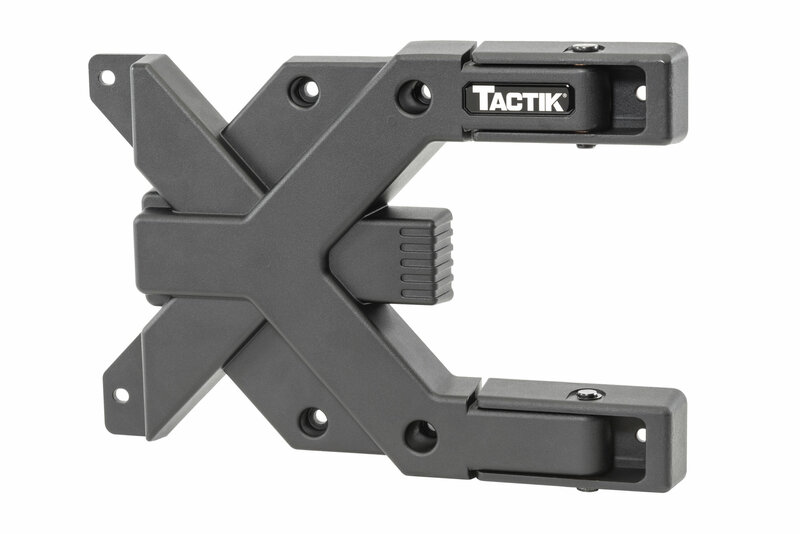 This is a definite heavy duty upgrade as compared to the stock hinges. It was an easy install that took roughly an hour. I used a good penetrating oil and an air impactor to remove the original bolts. 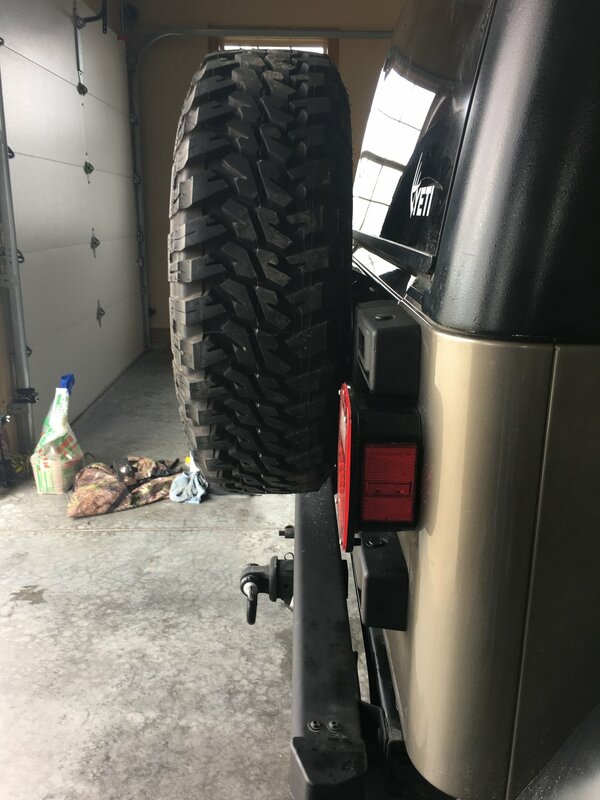 Didn’t have to drill any out on my 06 Rubicon. When replacing the bolts I did over torque one of the bolts and now the nut sert spins but I was able to tighten this with a little work. Overall very happy! Does this come with the tire carrier? No, it will not. 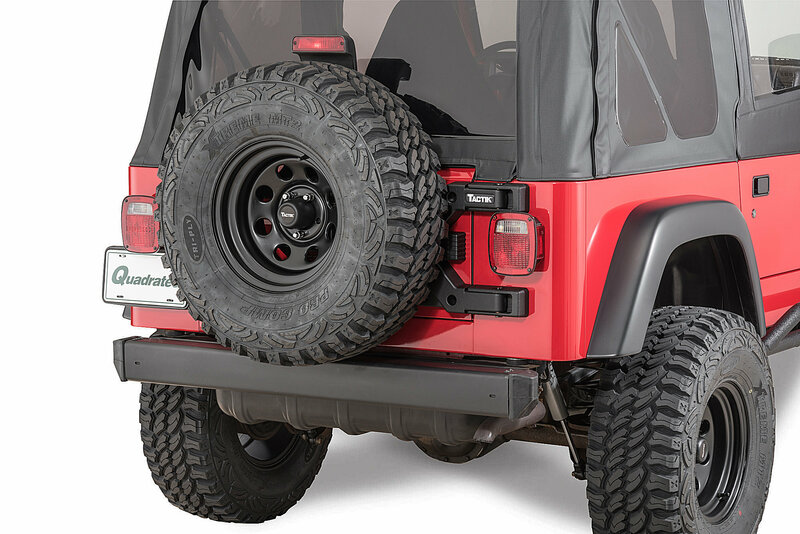 This is compatible with up to 33x12.50 tires.